Vinification & Aging: The grapes were harvested by hand in October, in the older older vineyard, where the vines are 60 years old. They underwent a long maceration process with techniques favoring the extraction of tannins, approximately 25 days, followed by a malolactic fermentation period. The wine was then placed directly in new French oak barriques where it was allowed to age for 12 to 16 months before bottling. This wine is made only in the best vintages. Description: Intense ruby red color. 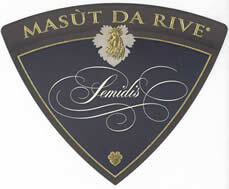 This is a big, complex wine with evolved aromas that range from earthy to sweet, red ripe fruits. Full-bodied wine with an elegant and soft structure. The extended maceration period gives the wine a particular maturity. Food Pairing: Roasted, spiced meats; seasonal cheeses.